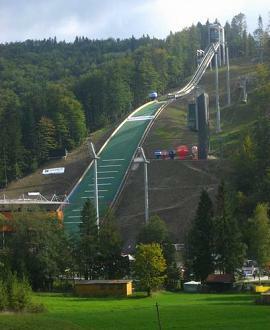 The first ski jumping hill in Malinka, a suburb of Wisła, was built in 1932-33, under the leadership of Rudolf Kowala. 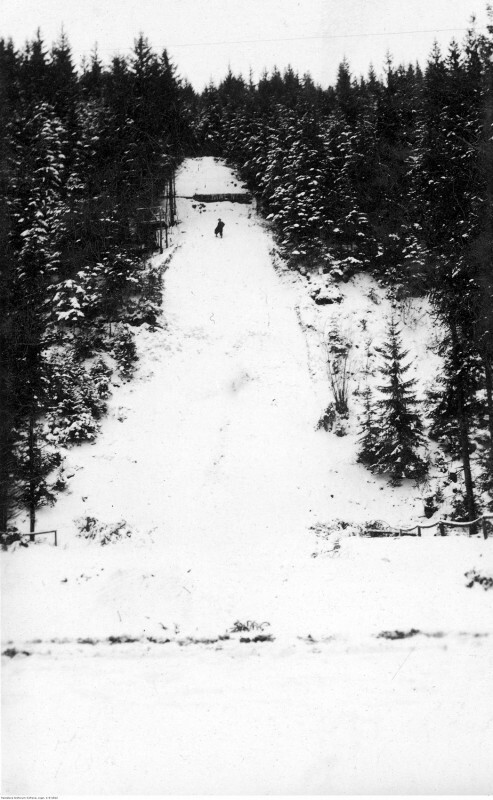 Mieczysław Kozdruń, later coach of the Polish national ski jumping team, was the first record holder, reaching a distance of 41 meters. 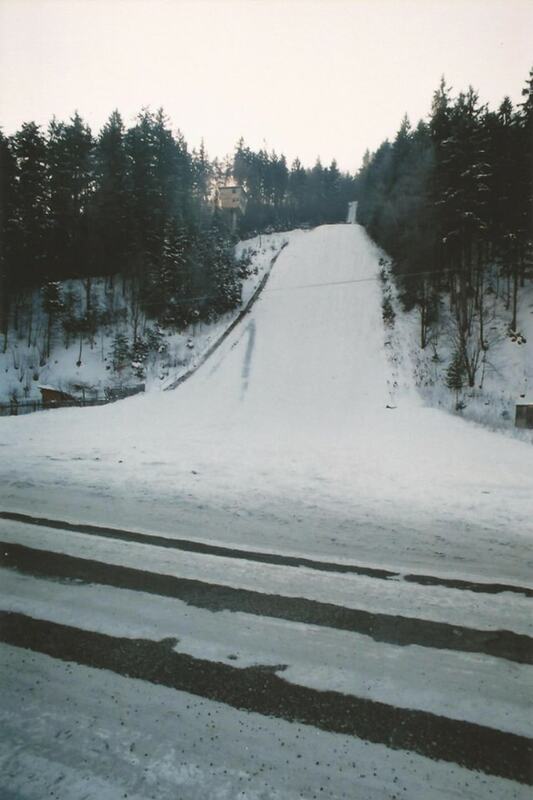 After the Second World War, the facility gained importance, becoming a representative hill of Wisła (previously this was the function of the hill in Łabajów) and the second largest hill in Poland, after Wielka Krokiew in Zakopane. 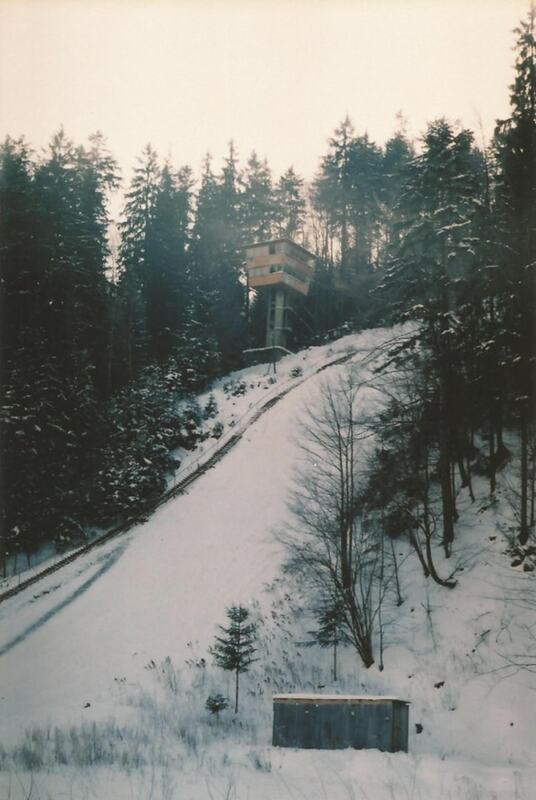 The first post-war record was 67 m and belonged to Rudolf Fros, who after many years became a ski coach in Duszniki-Zdrój. 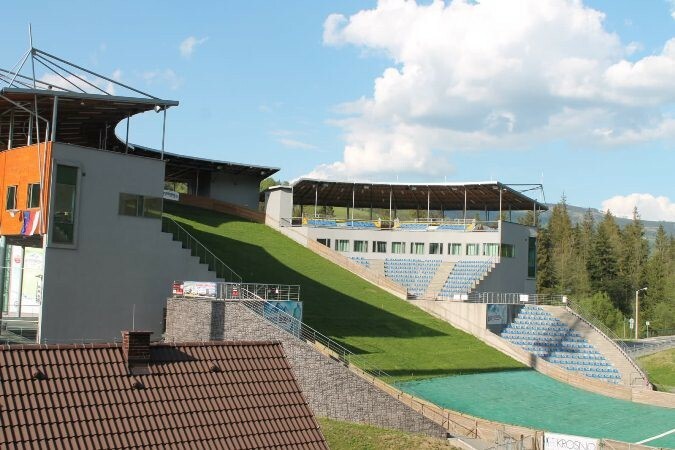 A year after a thorough reconstruction, in 1958, for the first time, the prestigious international competition Puchar Beskidów (Beskids Cup) was held in Malinka. 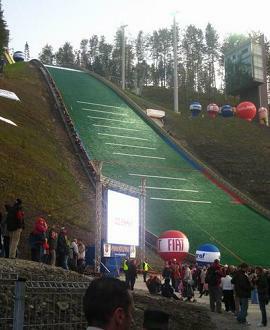 Already at that time jumps about 80 meters were reached. 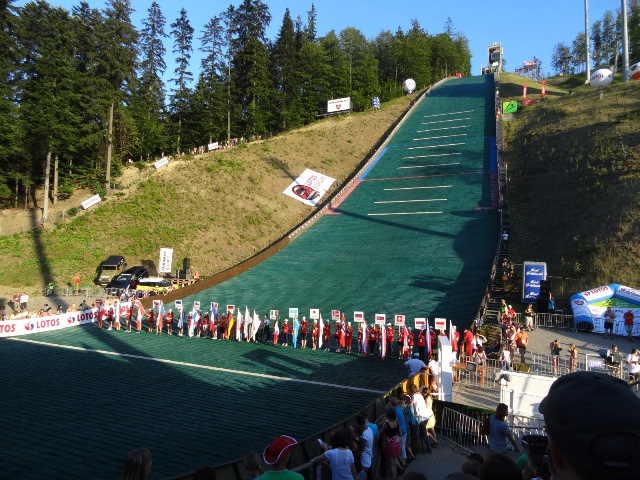 In Malinka over the years triumphed, among others Antoni Łaciak, Dalibor Motejlek, Józef Przybyła, Gari Napalkov, Rudolf Hoehnl, Stanisław Bobak, Axel Zitzmann, Ulf Findeisen and Manfred Deckert. 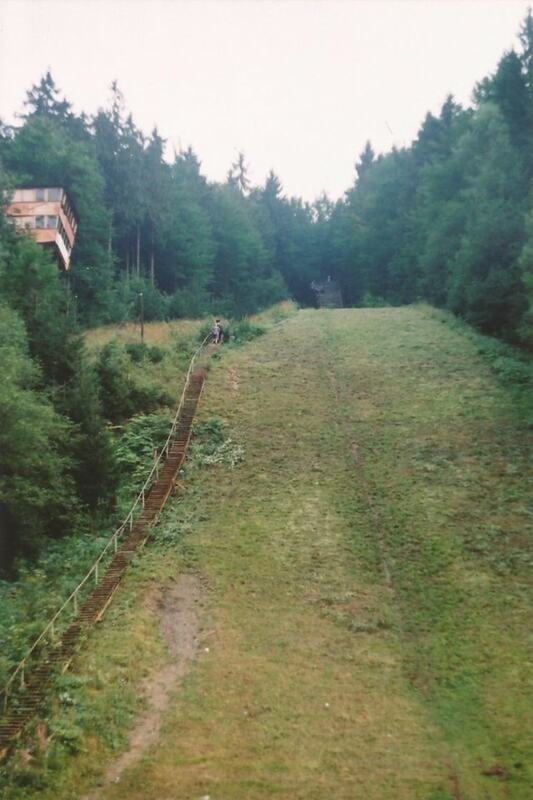 During the national team training in 1960, just before leaving for the Olympic Games in Squaw Valley, one of the Olympic favorites and hill record holder Zdzisław Hryniewiecki suffered a very dangerous fall. 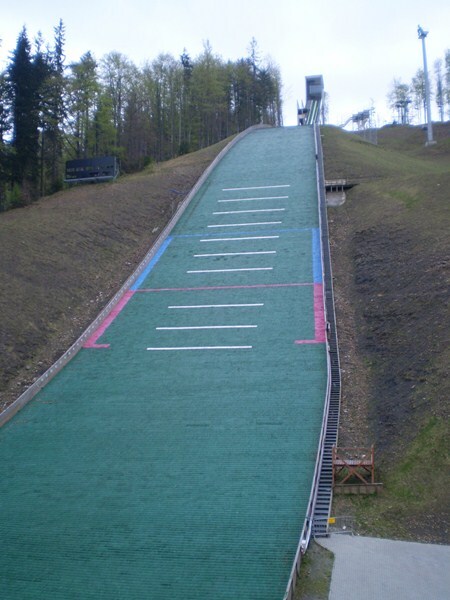 The result was a broken spine and the end of a jumper's career. 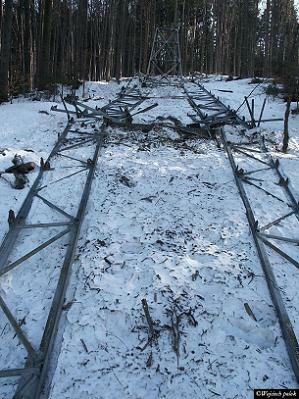 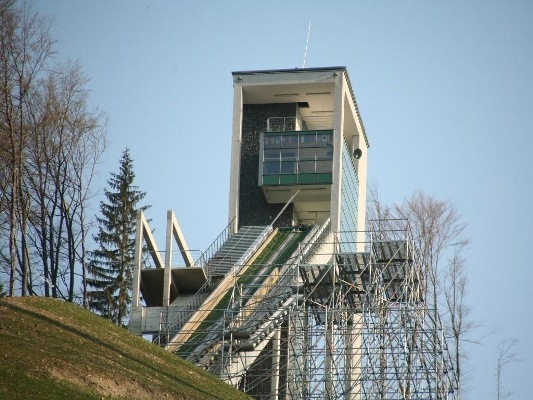 Another modernization took place in 1967, according to the guidelines of engineer Jerzy Muniak, designer of many ski jumping hills in Poland. 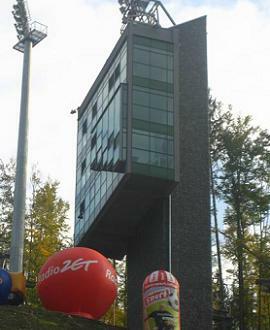 The object then received an artificial inrun. 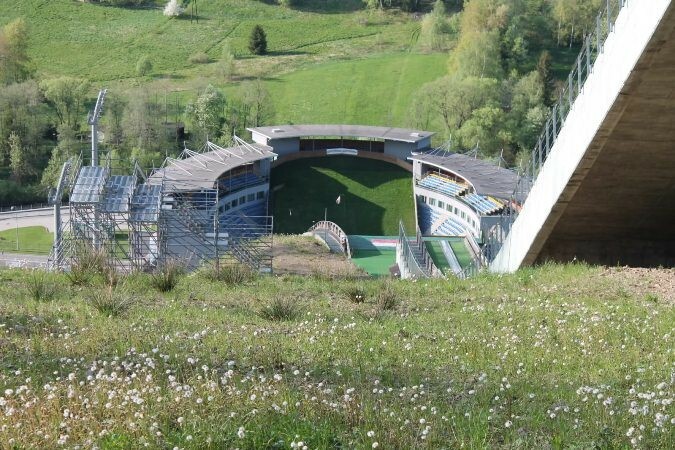 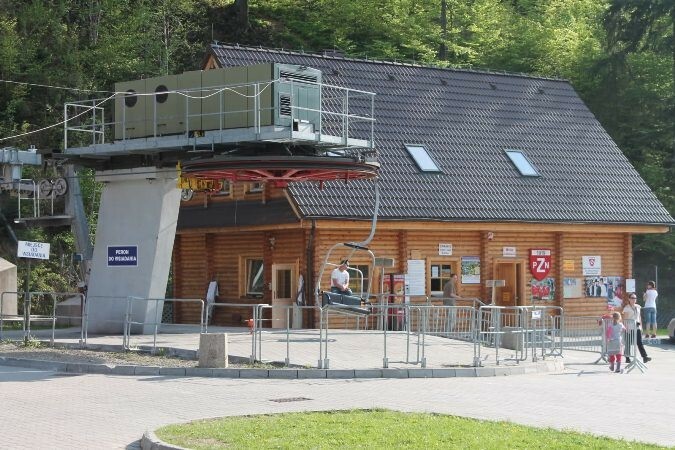 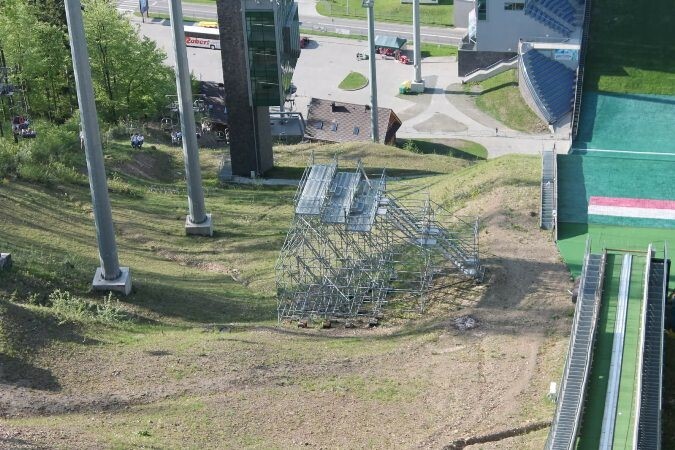 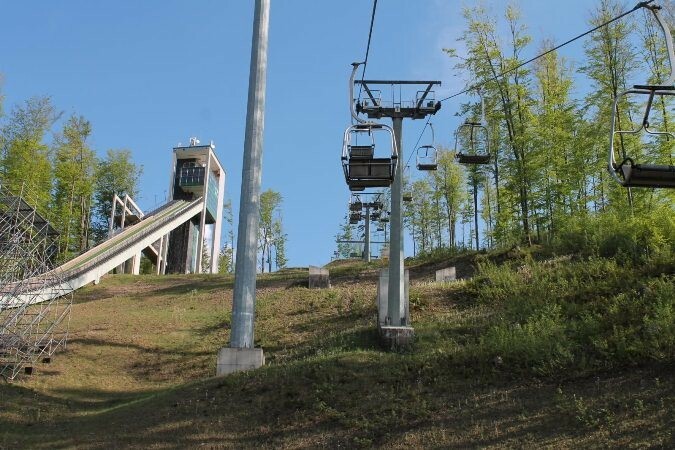 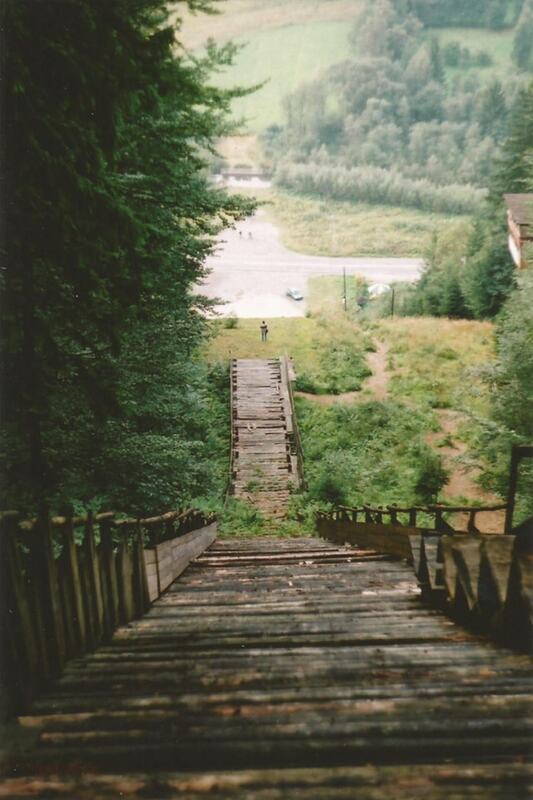 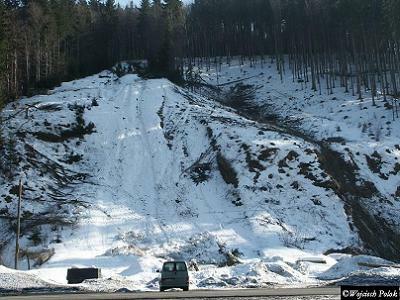 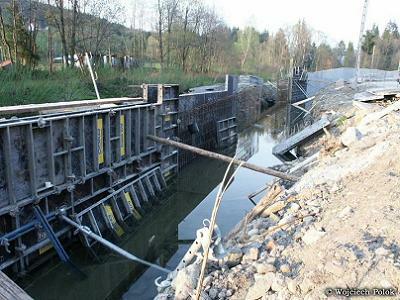 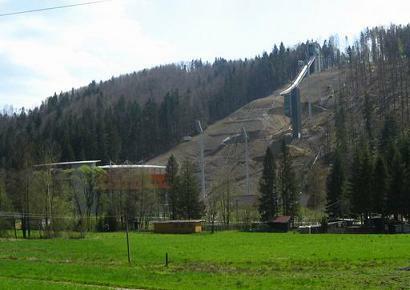 In 1974, a decision was made that in connection with the construction of a water reservoir in Wisła-Malinka, the hill will be demolished, and in exchange for it a completely new ski jumping centre will be created in Wisła-Kozińce. 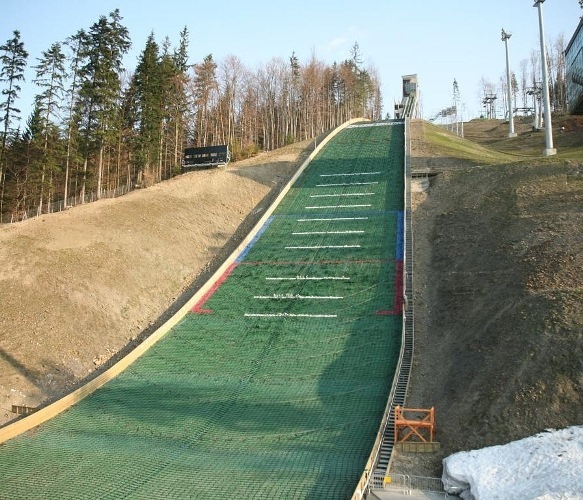 The concept of the new hills was created by Jurand Jarecki, a well-known modernist architect who was also involved in the design of the ski jumping hills, and was a ski jumper himself in his youth. 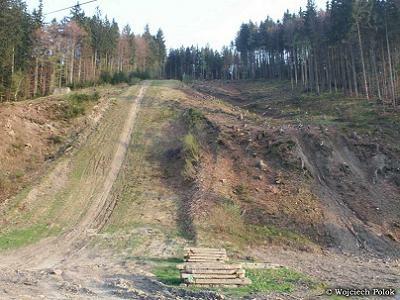 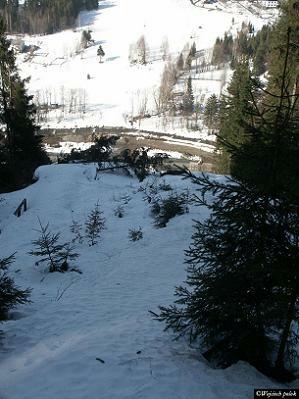 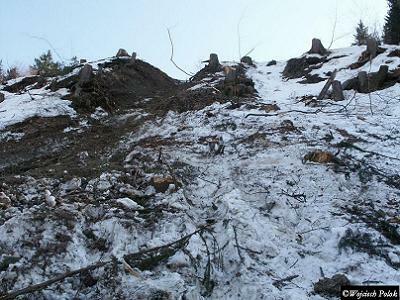 Eventually, the idea was withdrawn and the hill in Wisła-Malinka survived. 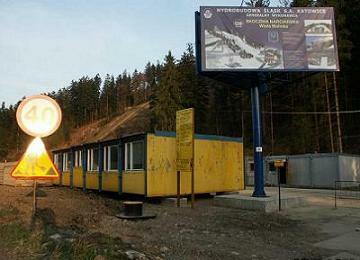 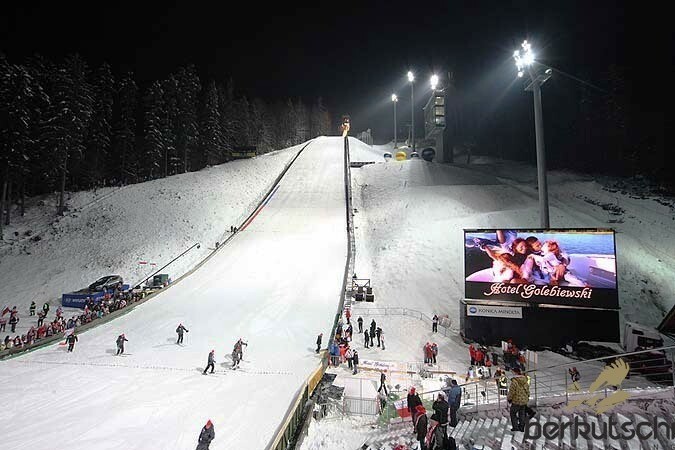 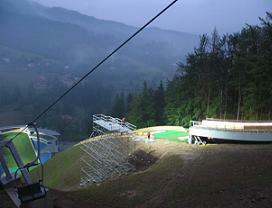 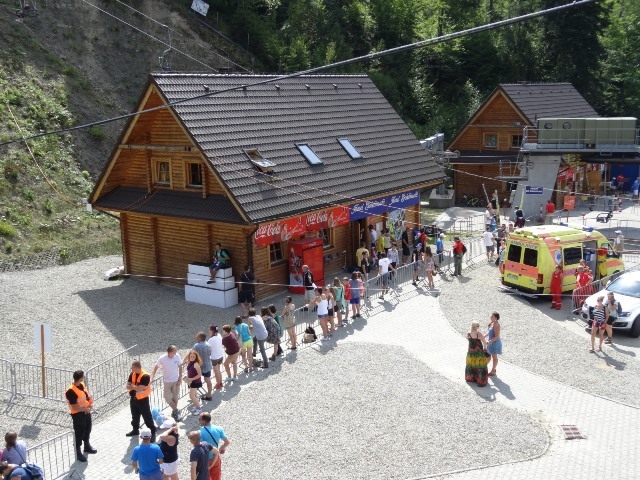 In the 80s Polish championships were organized on the large hill in Wisła-Malinka, interchangeably with Zakopane. 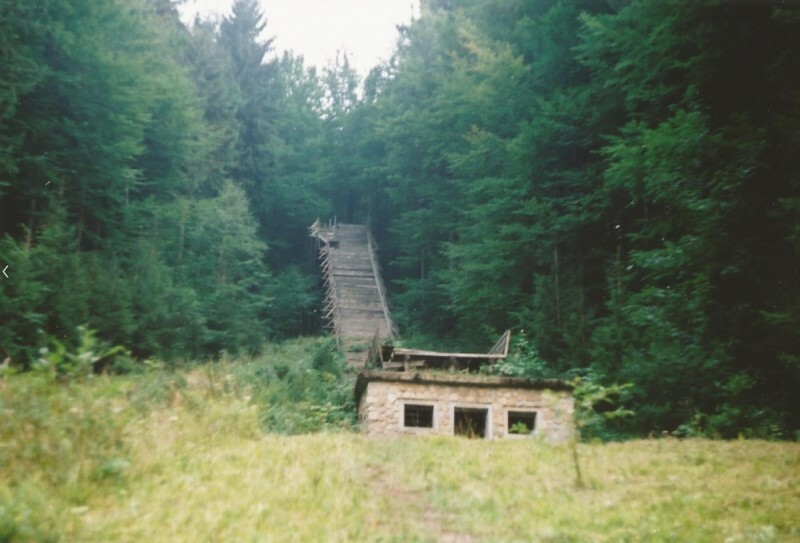 After 1989, the facility began to deteriorate and was a step away from falling into ruin. 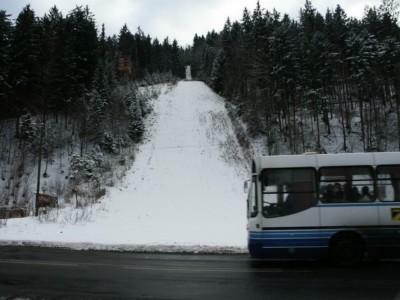 An immediate renovation as K105 in 1995 resulted in the retrieval of the homologation. 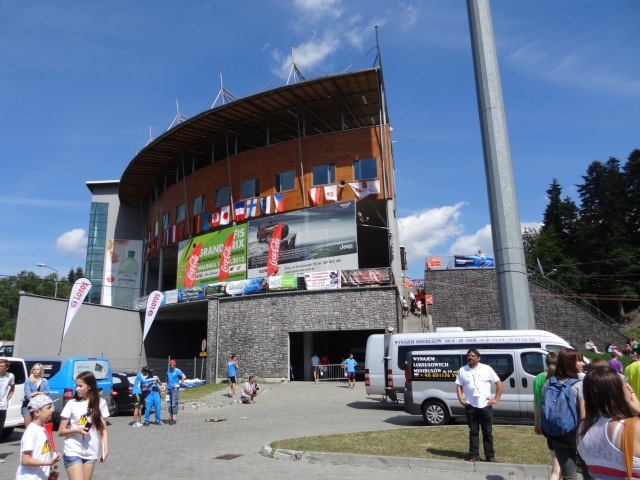 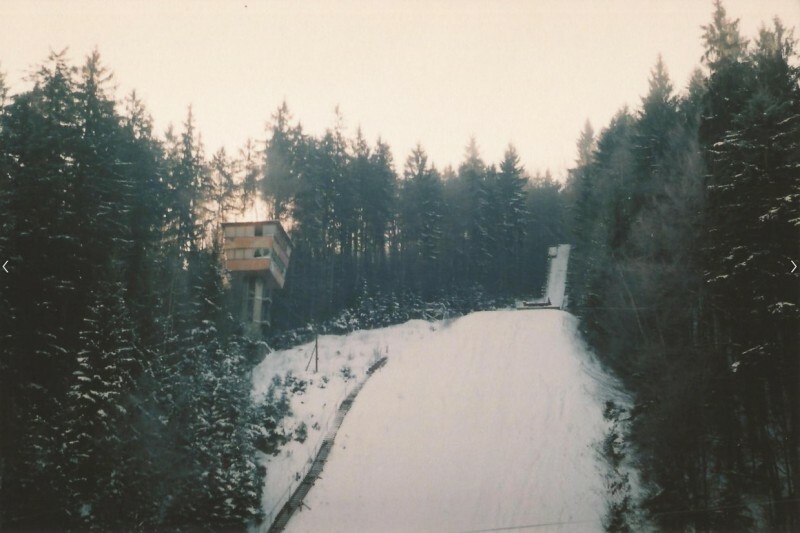 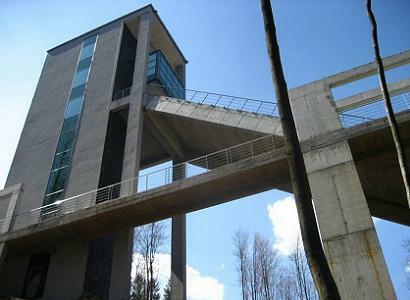 In 1997 the Continental Cup was planned for Malinka, but the FIS technical delegate decided to cancel the competition due to the lack of a computer in the referee tower during the training series. 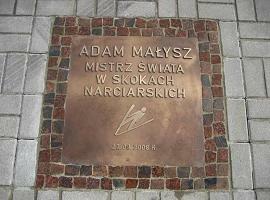 Together with the great successes of Adam Małysz in early 2000's, who born in Wisła, the idea of ​​rebuilding the hill appeared. 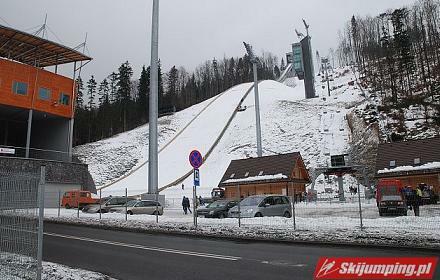 According to the first concepts, the outrun of the ski jump was supposed to run under a viaduct for cars (the problem of the old hill was a busy road crossing the outrun). 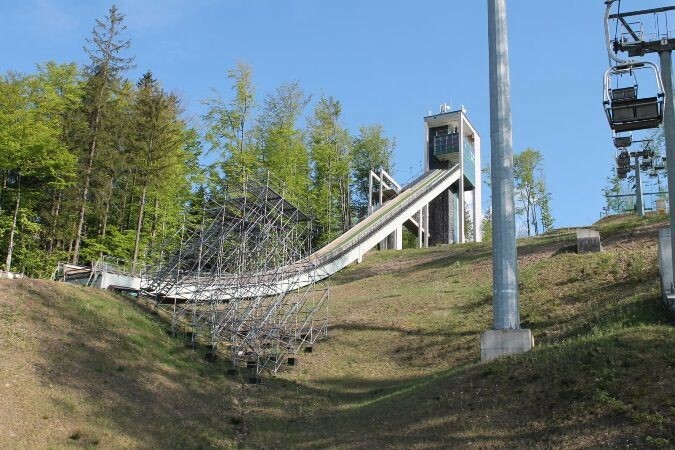 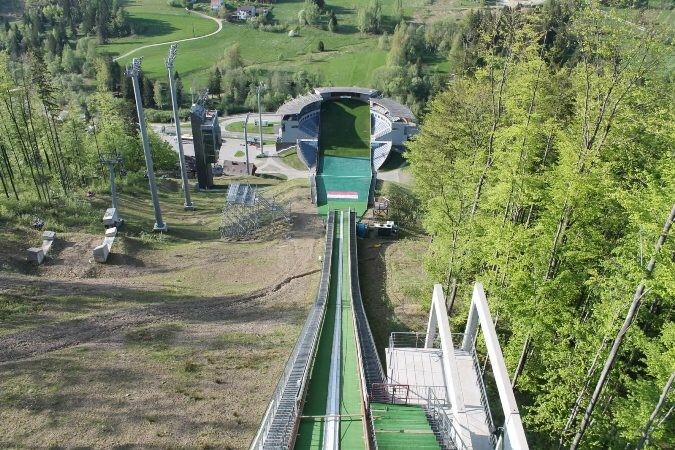 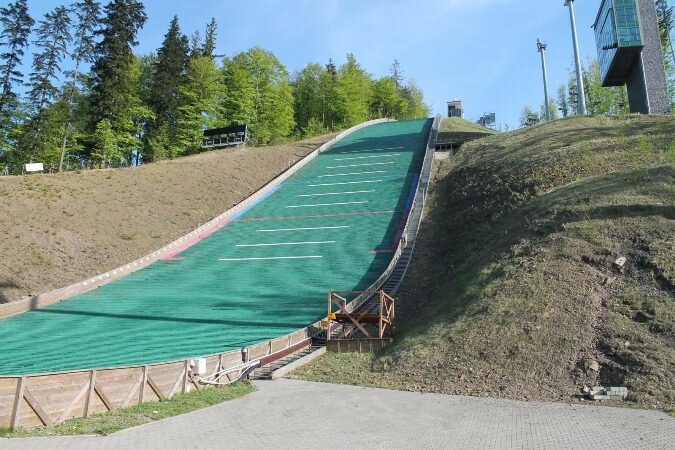 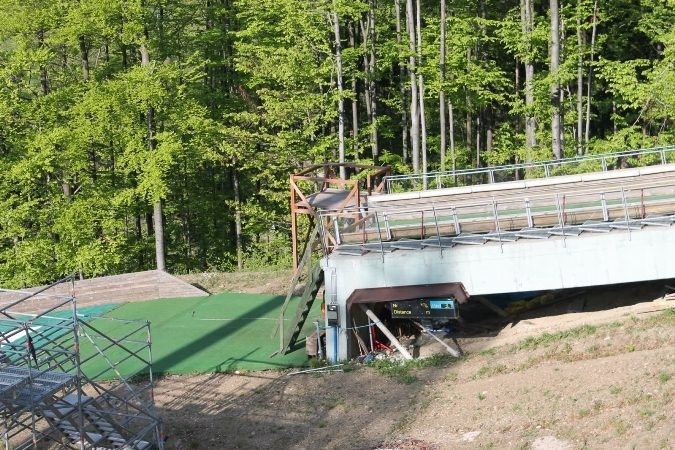 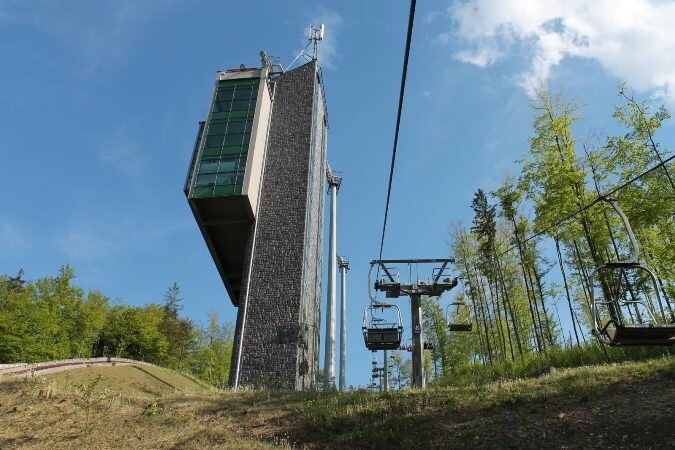 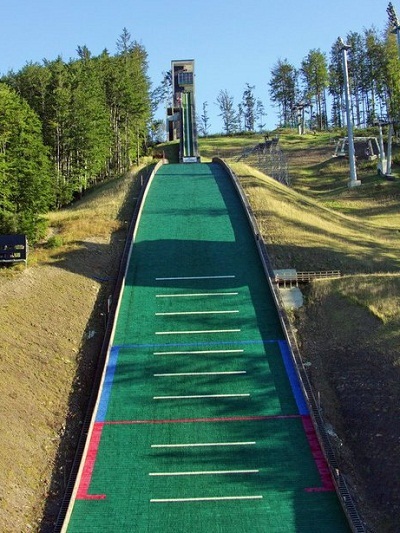 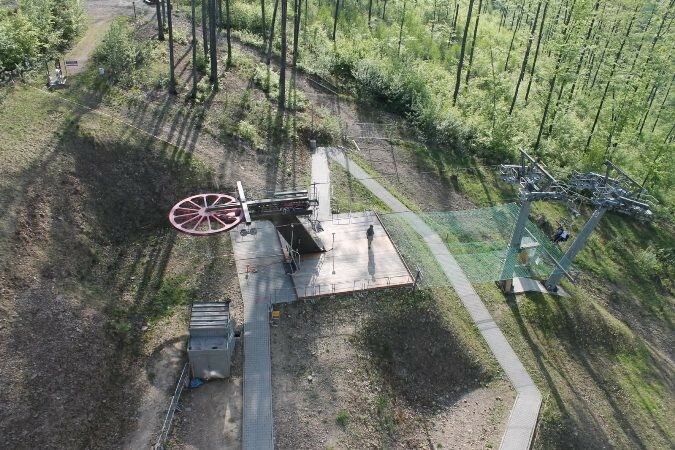 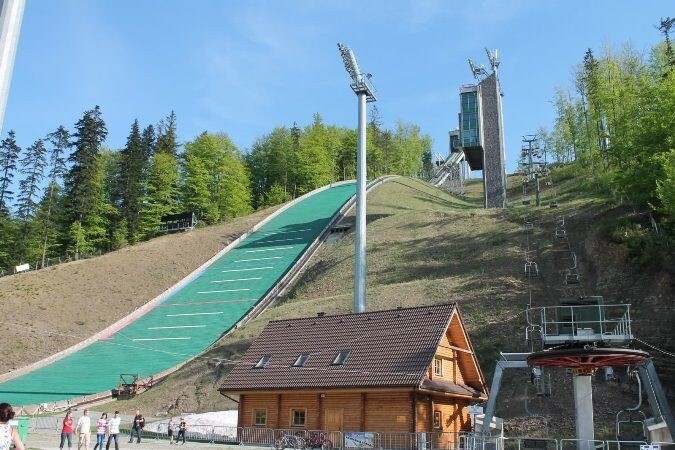 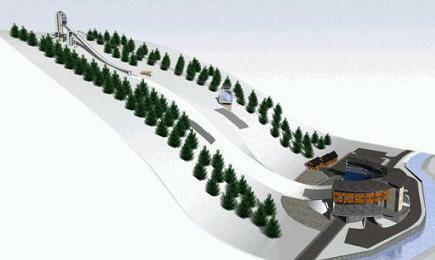 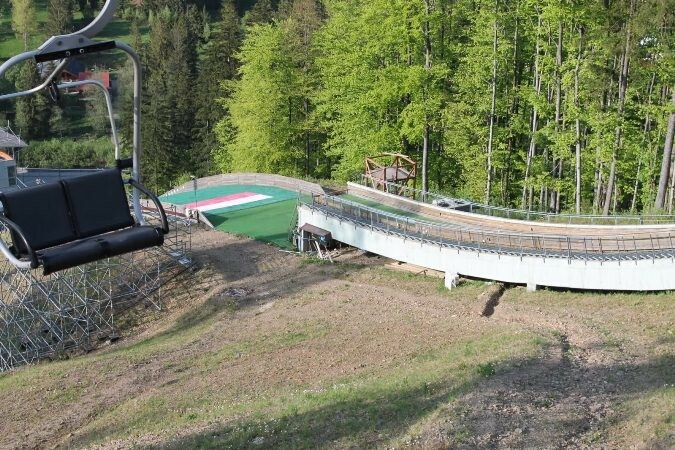 Finally, it was decided to implement the project with a tunnel for cars under an artificial counter-slope, which has now become characteristic of the ski jump. 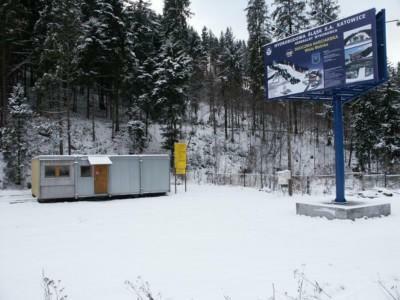 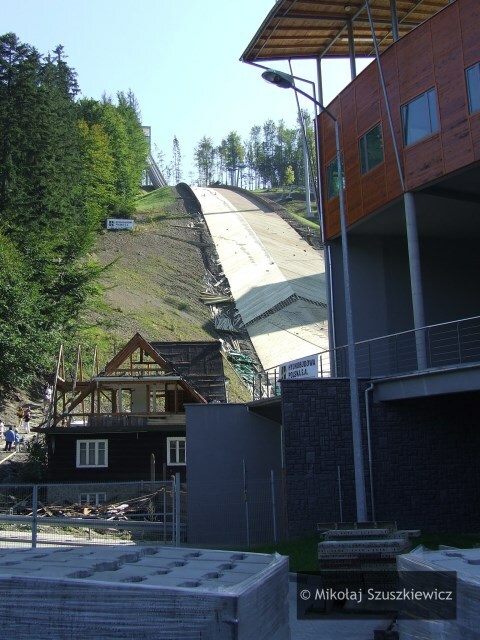 The investment, which started in 2004, faced many difficulties, but finally in summer 2008 the first jump on the new K120 / HS 134 facility was given by Adam Małysz himself, who was also announced the official patron of the hill. 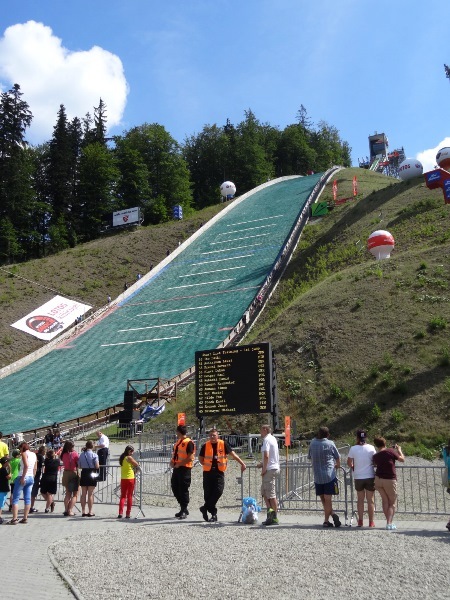 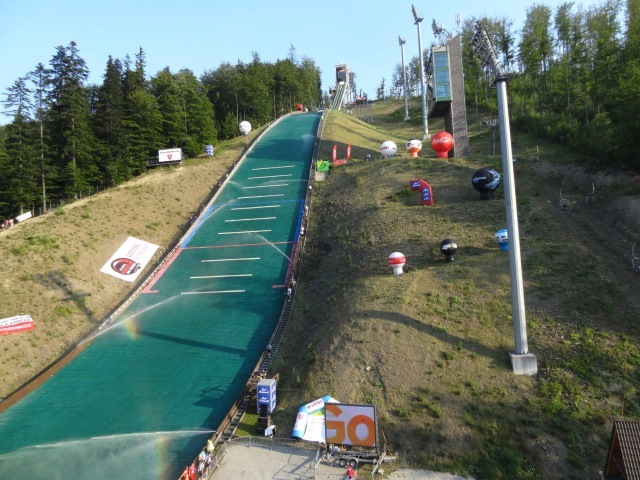 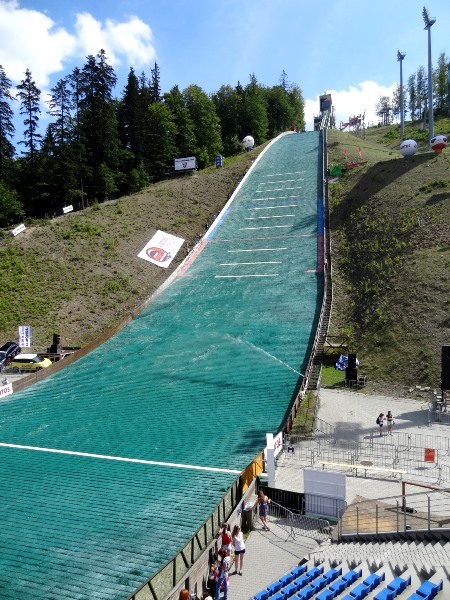 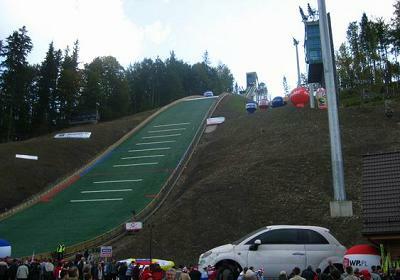 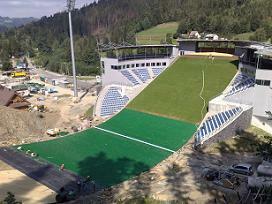 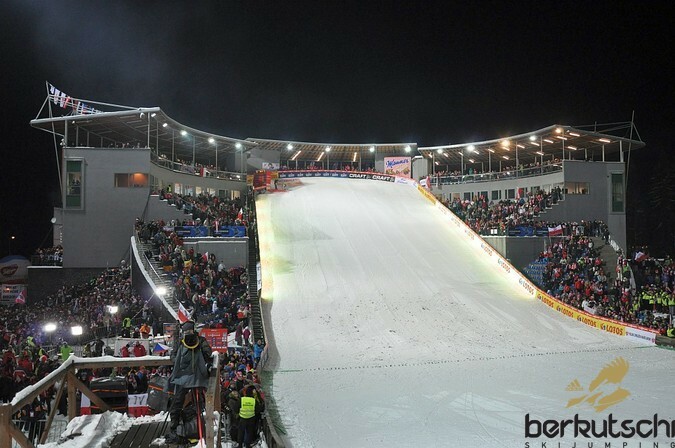 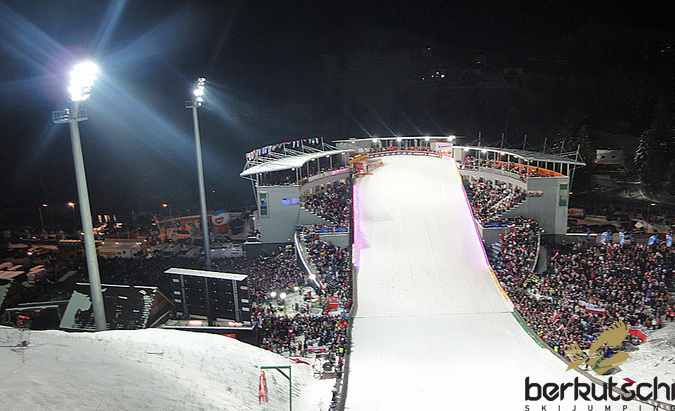 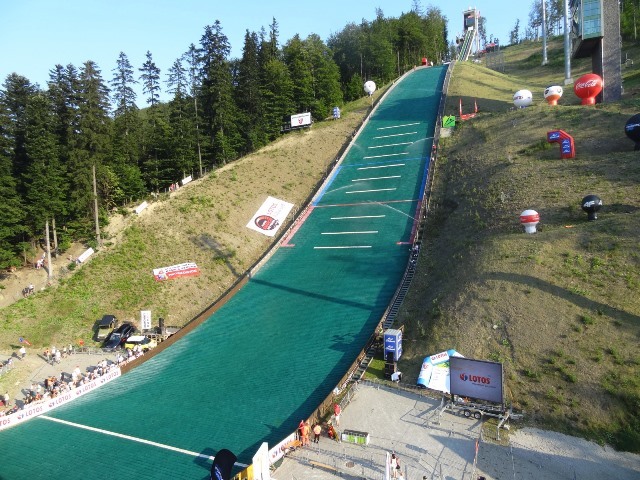 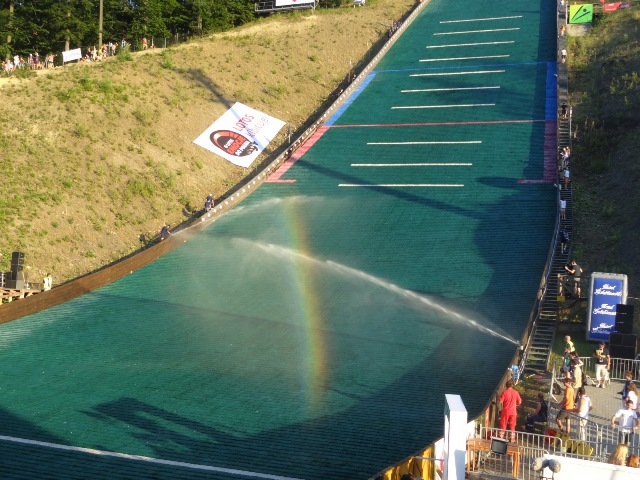 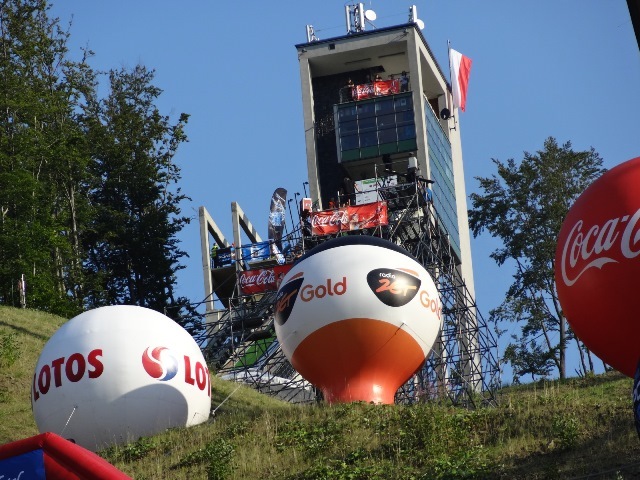 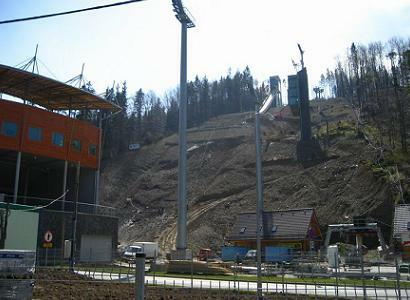 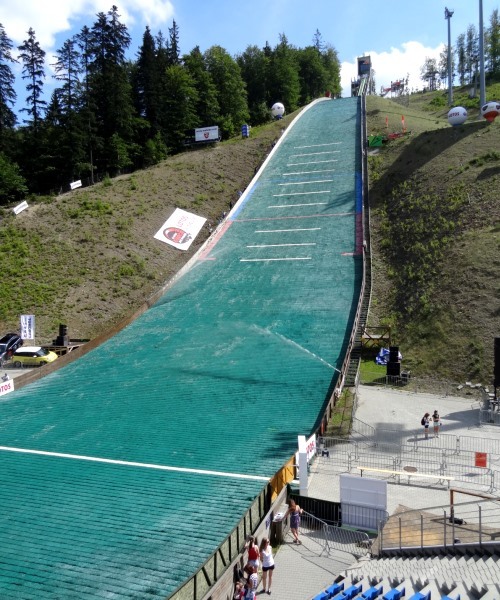 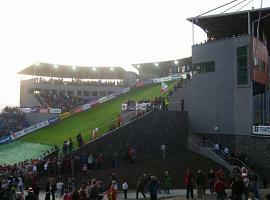 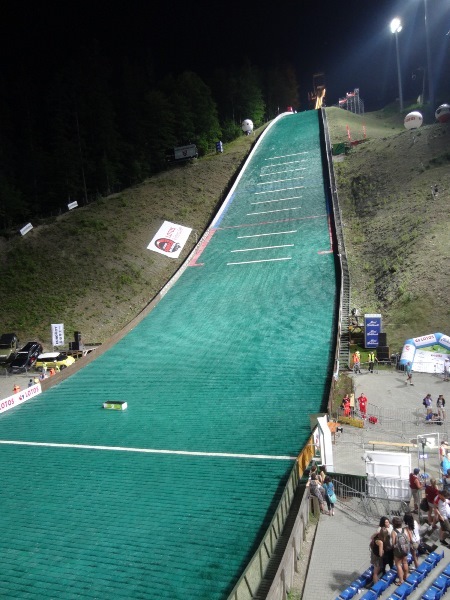 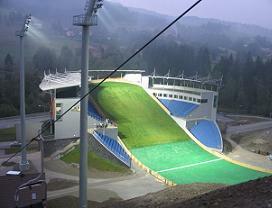 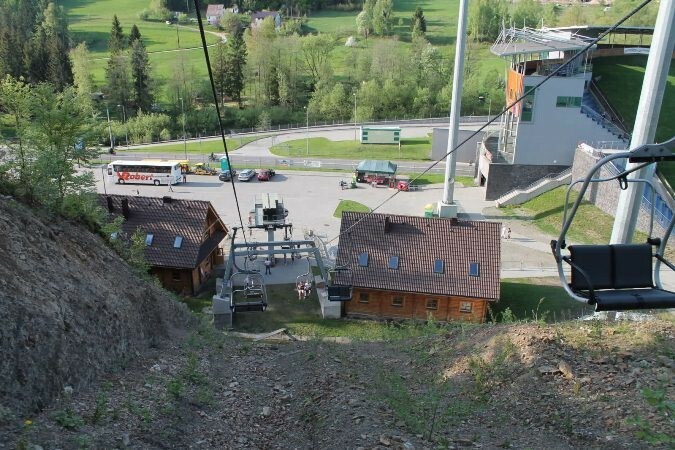 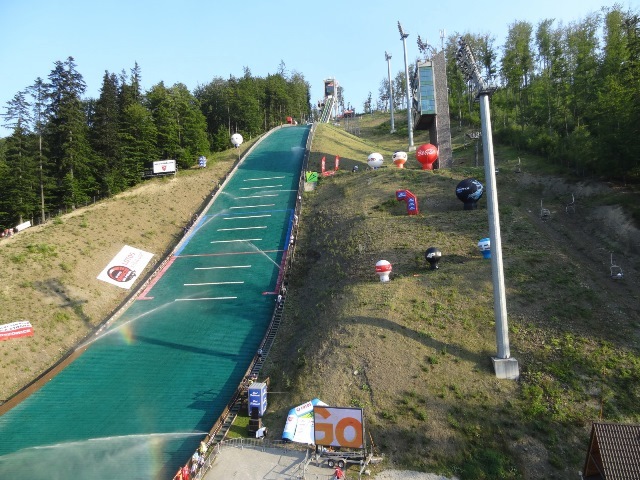 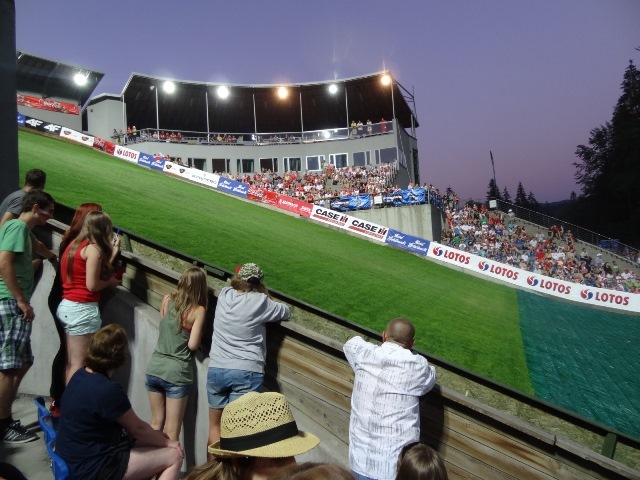 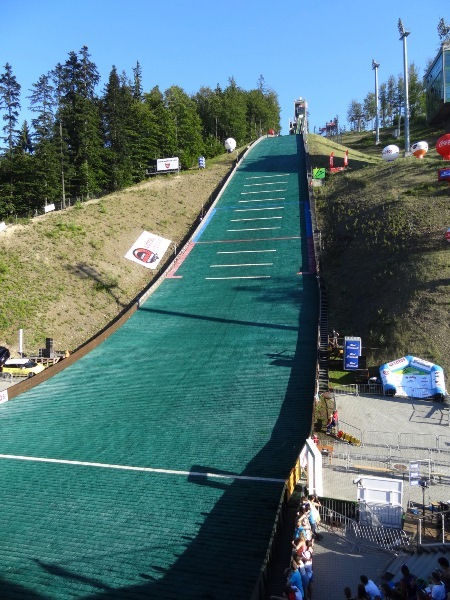 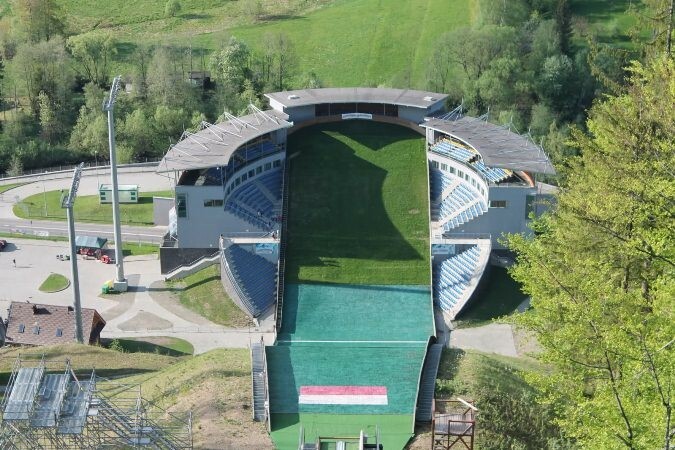 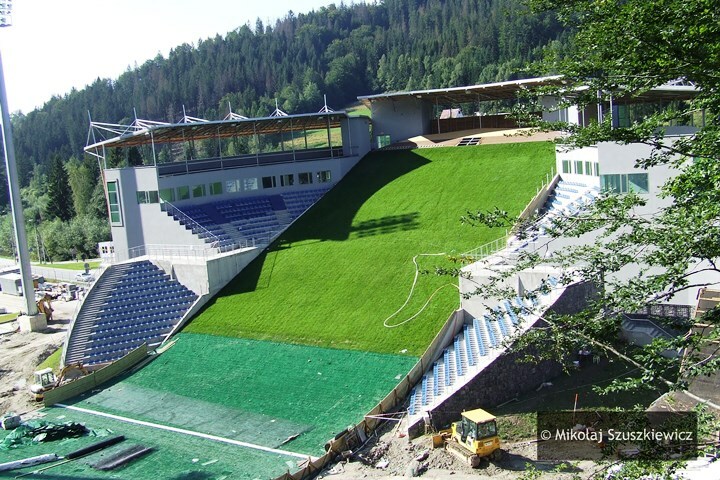 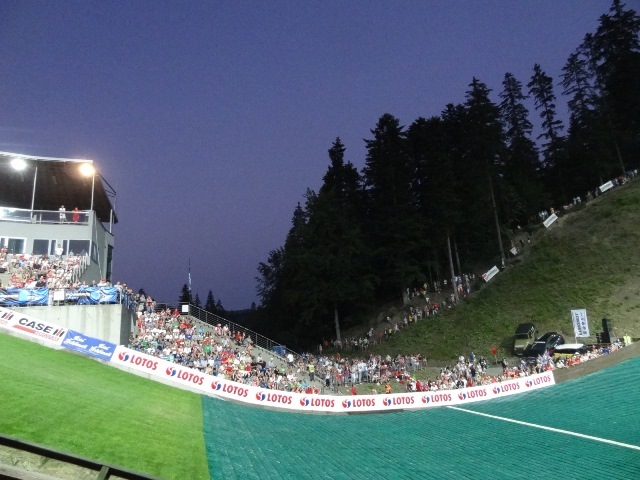 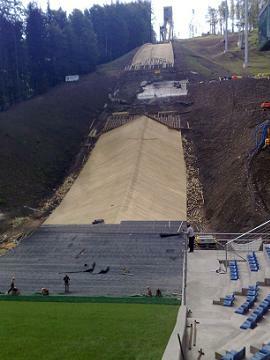 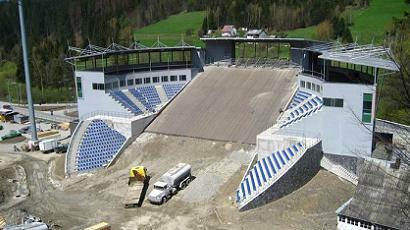 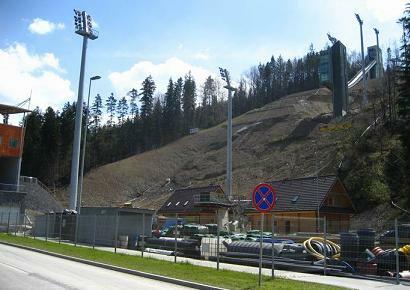 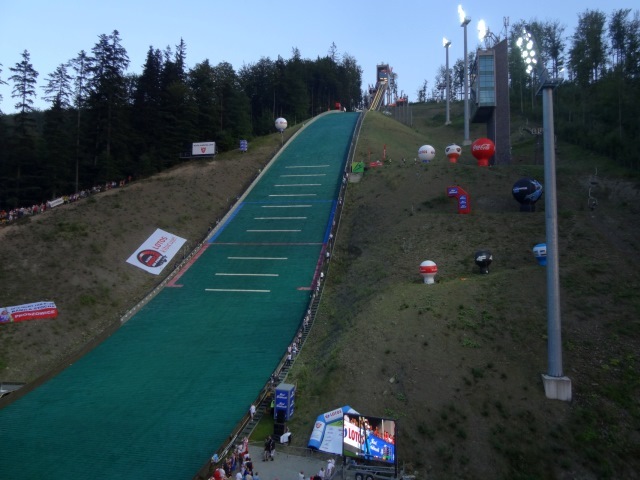 In the 2008/09 season, the first Continental Cup competition was held on the new hill, and from 2010 the ski jump of Adam Małysz is hosting the Summer Grand Prix competition. 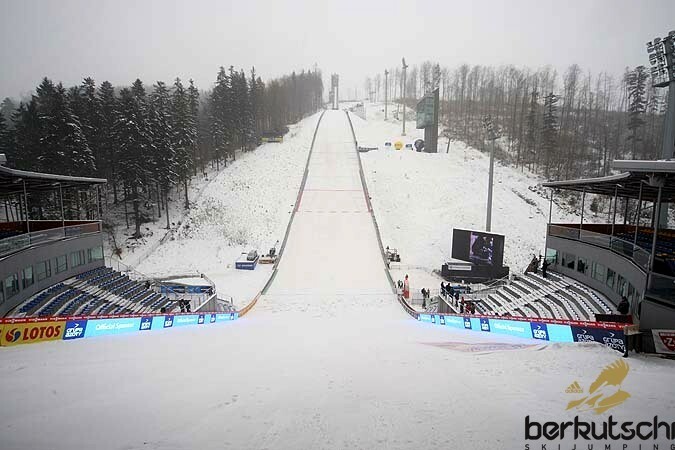 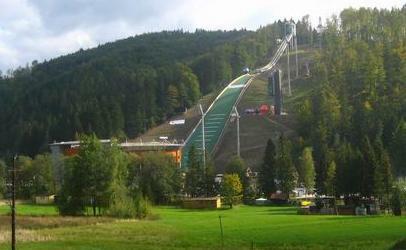 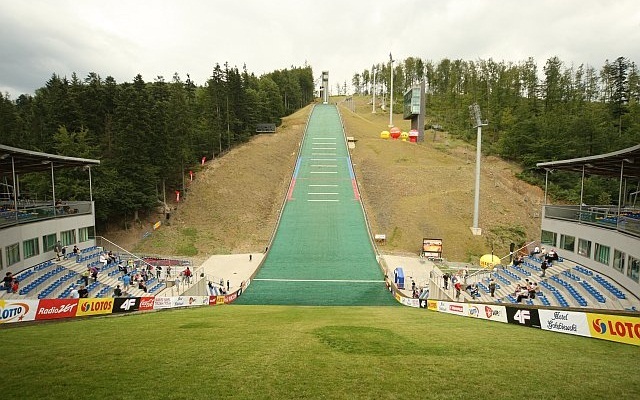 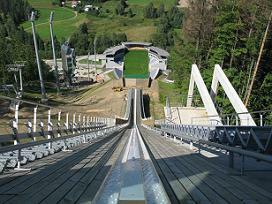 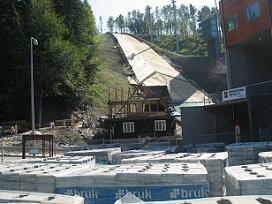 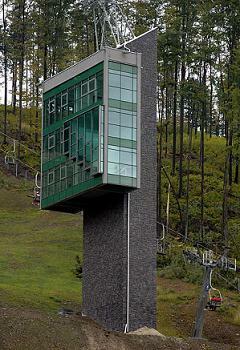 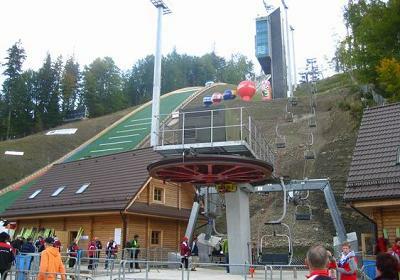 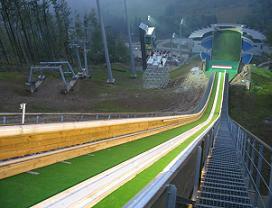 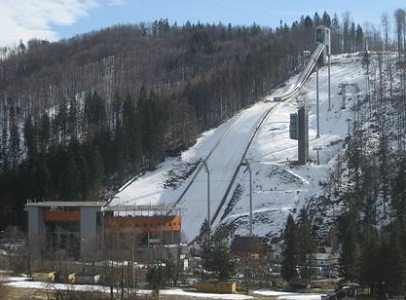 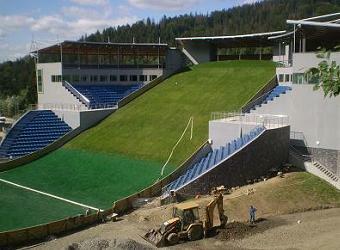 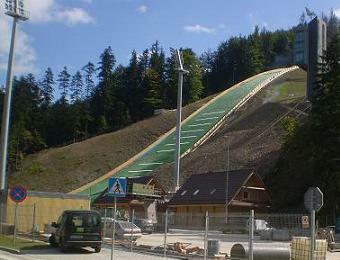 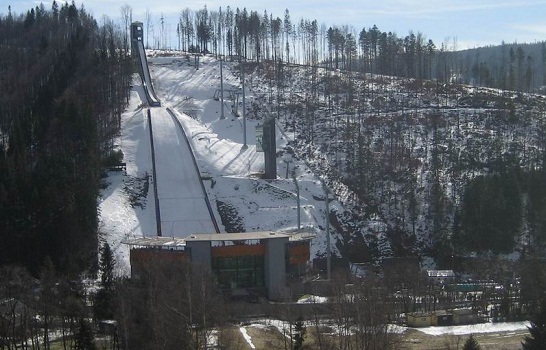 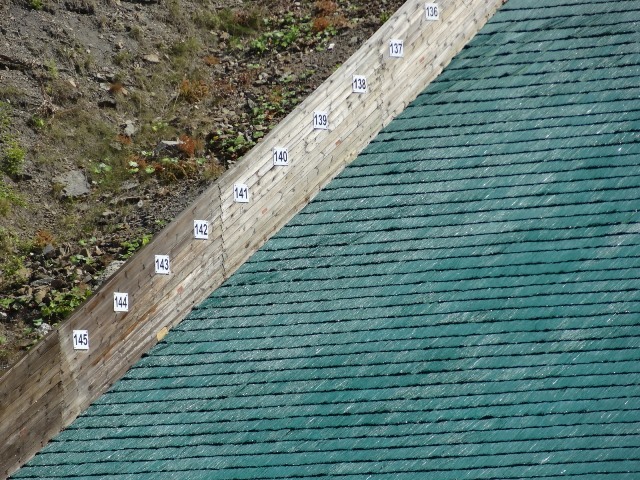 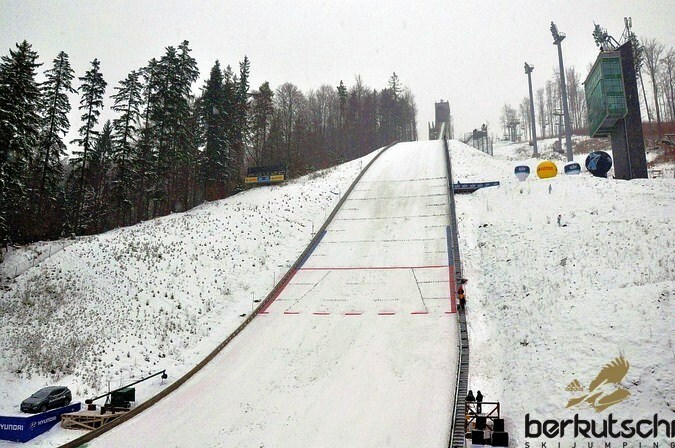 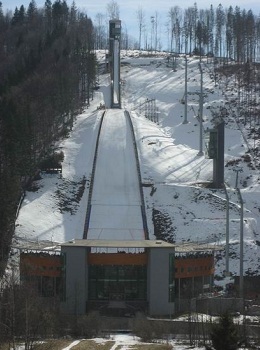 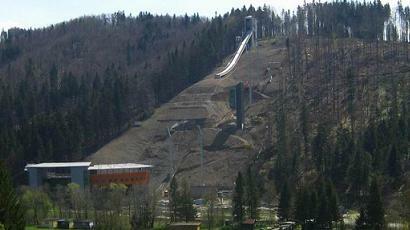 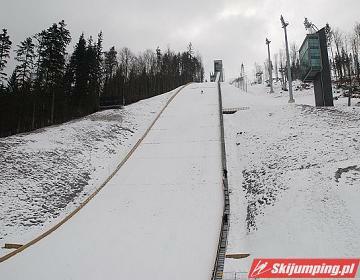 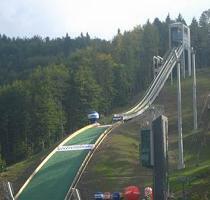 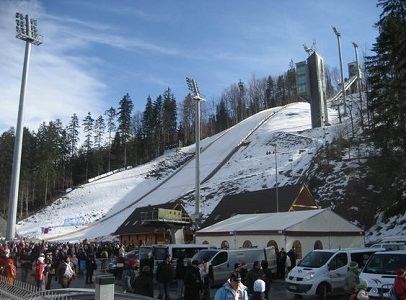 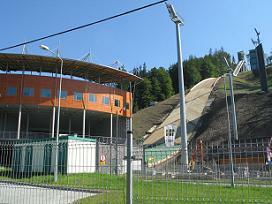 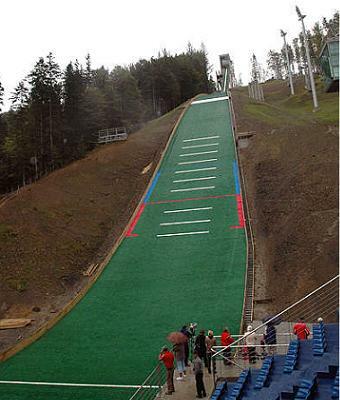 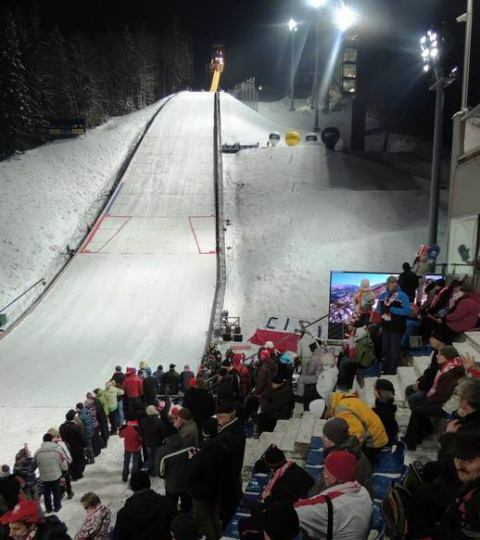 Starting from the 2012/13 season, the ski jump at Malinka has been host of World Cup competitions.